As a mom of four, I know all too well about the pressures of society and my parenting style has definitely evolved a lot over the years. With all the parenting books and articles out there, it’s hard not to question whether you are doing right by your child. Being a child development major myself, I thought “I had it all figured out” that’s of course until another parenting book came out and totally contradicted the previous one. Lately, I have been reading “The Collapse of Parenting“ by Dr. Sax who challenges mainstream “American parenting” or more accurately, the lack there of. The basic idea of the book is that the current culture is one of disrespect, not only towards parents but also towards teachers, elders, peers and just about everyone else and that parents have very little authority over their children. The lack of parental authority is playing out in negative ways in today’s society and children are growing up without the skills to deal with the challenges of life. The book stresses the importance of teaching children self-control, conscientiousness, honesty, humility and integrity, all traits which Islam embodies! In fact, our whole religion is centered around it. Our modern consumer-driven society puts value on instant rewards and “trophies”. It advocates to passionately pursue and consume whatever you desire, while Islam emphasizes self-control, patience and moderation. So it is no wonder that children struggle to deal with setbacks and disappointments of life. This among other issues contribute to the rise in anxiety and depression among young adults. 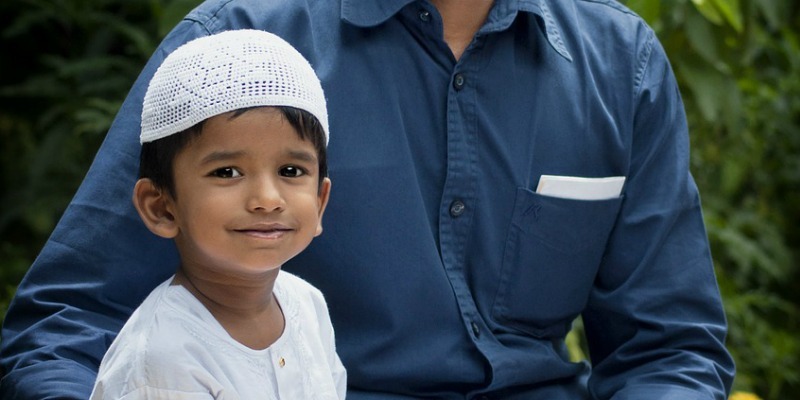 I have to admit that this was an area that I had not put much thought into before, but the more I contemplate about it, the more I realize that the ideas presented in “The Collapse of Parenting“ align very well with our Islamic values. Perhaps, this is why they invited him to hold a parenting seminar at a local masjid. We fast in the month of Ramadan in order to learn discipline and be more Allah conscious. We pray five times a day to partly achieve self-control but to also stop for a few minutes to remember and be grateful to the one who has created us. We lower our gaze to resist temptations and be patient until we find halal means of satisfying our desires. While part of the book is dedicated to talking about the history of parenting in America and the dramatic shift, the other part offers practical solutions to the dilemmas American parents face today. I really recommend getting your hands on the book and reading it, but in the meantime, here are a few practical tips you can put into practice today. 1. Teach humility by making your children do chores. Most of us may already do this, but without realizing how important an instrument this is to building humility. It shifts the child from this attitude of entitlement, and teaches them that they are not beyond the menial tasks of the world and they they have obligations to the people around them. 2. Discourage the “me culture” by limiting kids’ use of social media. Although social media can be used to raise awareness of humanitarian or political issues, let’s face it, most kids use it just to call attention to themselves. 4. Instill a higher purpose of life. According to Dr. Sax, our priorities as parents should be to raise our children to be conscientious people who “set meaningful goals and work toward them with integrity. To serve others. And to love, honestly, and faithfully.” As Muslims, our main purpose in life is to please Allah, which by default, requires us to do all those things mentioned above. 5. Instead of praising your child for being smart, praise the behavior. For example, If your child scored really well on an exam instead of saying “You are so smart!”, it is much more advisable to say, “You must have tried really hard!” While one suggests that IQ is fixed (which it is not) the other sends the message that achievement is a result of hard work. 6. Teach virtue by linking identity rather than behavior. Unlike the above example, focus on establishing a particular identity rather than a particular behavior is much more effective when teaching virtues. “You are a very kind person” works much better at encouraging good deeds than “That was a very kind thing you did.” Likewise, saying “Don’t be a cheater” is much more effective at deterring cheating than by simply saying “Don’t cheat.” Why? For some reason, children are more likely to do a good deed or avoid a bad one, if they associate it as apart of a particular identity which they want or do not want to belong to. Have you read an interesting book recently that gave you an ‘aha’ moment? MashaAllah it sounds like a must read, I hope it’s available on kindle. Loved the article too mashAllah. JazakAllahu Khair for your feedback! Yes, I highly recommend reading it as it offers so much insight :). I think it is also available on Kindle last time I checked ;). Salam , Dr. Sax was a guest speaker at the Averroes highschool fundraiser. He is exceptional. He said, do not teach your children American culture to a crowd of Muslim families. SubhanaAllah. Wow, that’s crazy.. subhanallah. That tells you something.